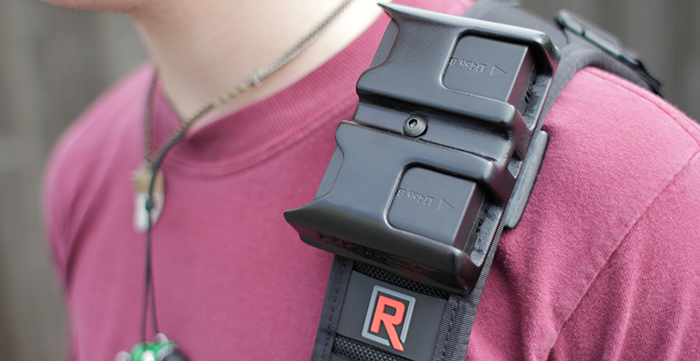 We stumbled upon a new Kickstarter campaign called Rhino Battery Holster. It's a clip that lets you hold two (2) Canon LP-E6 batteries. 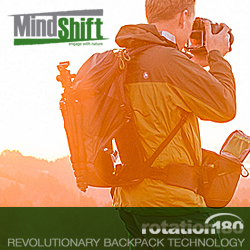 You can either attach it to a carabiner, backpack or to your BlackRapid sling strap. At the moment, it's only capable of holding LP-E6 batteries but if the Kickstarter campaign raises more money, it will look into designing the holster to work with other camera batteries. $25 gets you 1 holster. Pledge $40 and you get 2 holsters. $60 gets you 3 holsters and BlackRapid carabiners and $100 gets you 5 holsters and BlackRapid carabiners plus exclusive invite to Rhino Tribe. More information about the Rhino Tribe can be found on their Kickstarter page. For more information, continue reading. A revolutionary way for photographers and filmmakers to carry and organize their DSLR and video camera batteries. I've been filming and photographing with my DSLR for a few years now and have experienced, like many others, the same problem over and over. I’m forced to switch out my batteries on shoots, run back to my bag to find fresh ones, all the while hoping I didn't miss the shot. I've tried battery grips, but they are heavy, bulky, expensive and get in the way especially when I’m shooting video. Stuffing batteries in pockets or a fanny pack wasn't going to happen so we decided to solve the problem. RHINO BATTERY HOLSTERS were born out of the necessity to have batteries easily and immediately accessible when you need them most. We created a hard shell holster that holds 2 LP-E6 batteries. If they raise over $75,000, they'll add another battery model that will fit Rhino Battery Holsters. For every $50,000 over that, they'll add another battery model. An integrated belt clip allows you to attach it on to your pants (with or without a belt), backpacks, and camera straps. We worked with our good friends at Black Rapid to make sure Battery Holsters were compatible with their award winning straps. The belt clip on a Battery Holster is wide enough to attach to all of their straps securely. Equipped with a 1/4-20 brass insert in the rear of the belt clip, you can attach the optional Black Rapid carabiner and clip it on to virtually anything. WHAT CAMERAS DOES IT WORK WITH? Battery Holsters work with any camera that takes a LP-E6 battery. 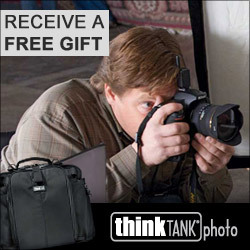 These include the Canon 5D Mark II, 5D Mark III, 7D, 6D, & 60D. If they raise over $75,000, they'll add another battery model that will fit Rhino Battery Holsters. For every $50,000 over that, they'll add another battery model. HOW DO THE BATTERIES STAY IN? The batteries are held in place by 2 small ridges that they pass over when being pushed in. The holster design includes an adjustable tensioner that allows you to lock the batteries down as tight or as loose as you'd like depending on what you’re shooting.